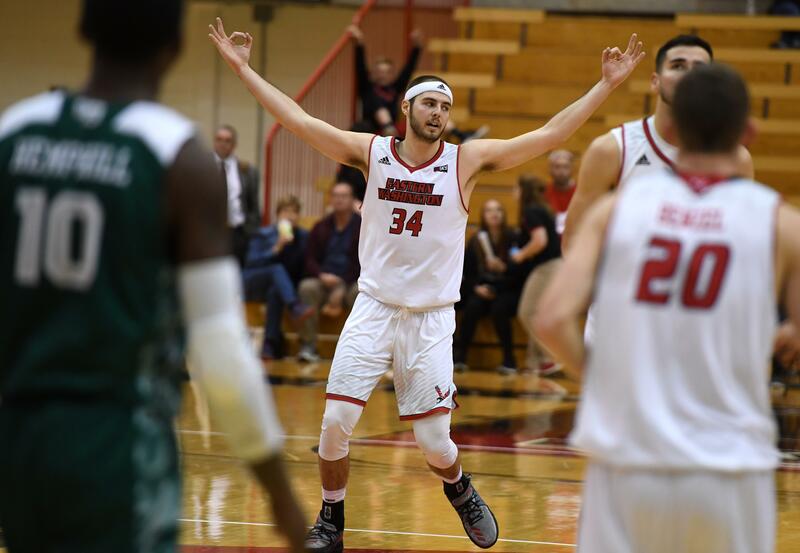 UPDATED: Sat., Jan. 26, 2019, 10:36 p.m.
SACRAMENTO, Calif. – Jesse Hunt scored 22 points with 17 rebounds and six assists and Eastern Washington pulled out a 94-92 win over Sacramento State in overtime on Saturday night after blowing a 10-point lead in the final 92 seconds of regulation. Jacob Davison added 19 points for the Eagles (6-13, 4-4 Big Sky Conference), including a three-point play with 30 seconds to play for a 91-88 lead and two free throws with 13 seconds left that made it 93-90. Ethan Esposito grabbed an offensive rebound with five seconds left and made two free throws for the Hornets (8-9, 2-6) before Eastern’s Tyler Kidd made 1 of 2 with 4 seconds left to close the scoring. Marcus Graves drew iron with a long 3-pointer at the buzzer, unlike his end-of-regulation, step-back, bank-shot 3 that tied the game at 76. Kidd had a career-high 20 points for the Eagles, making 11 of 12 free throws. Mason Peatling had 17 points and 13 rebounds before fouling out with 3 minutes left in regulation. The Eagles raced to leads of 9-0 and 17-2. Published: Jan. 26, 2019, 9:54 p.m. Updated: Jan. 26, 2019, 10:36 p.m.